Over the last six years I have moved eight times, lived in three different states, and changed career paths twice. When I line these events up, I sound like a spontaneous gypsy without a care in the world, but the reality is I am a type A personality who finds peace in making to-do lists. When I made each of these decisions, I stressed over whether or not I was making a good decision: Am I moving forward, does this make sense financially, what is my end goal? Looking back at all of these integral moments in my life, I can now see how it doesn’t matter whether the decision was right or wrong, only that I made it and learned from it. I think it is fair to say we all have the moments in life when we can own a mistake and say that in hindsight, maybe, I would have done it differently. As I reflect on my softball career, I can think of plenty of these moments. Softball is a unique sport. Even at the professional level, softball has a funny way of reminding us that we really know nothing about it. There's no way to predict what will happen in a game that is, in my opinion, 40 percent skill, 30 percent momentum, 20 percent officiating, and 10 percent the will of the softball gods. My "I wish I would have…" as a softball player is making more hustle plays. I have played in thousands of "friendly games" in which the only people in the stands are parents and no one keeps score. It is during these games that athletes have the choice to show up and get better or to coast through. When I look back on my travel ball career, I coasted far too often. I relied on talent alone to skate through those long, seven-game weekends. When I made it to college at Arizona, practice was a battle. There was no such thing as coasting anymore. 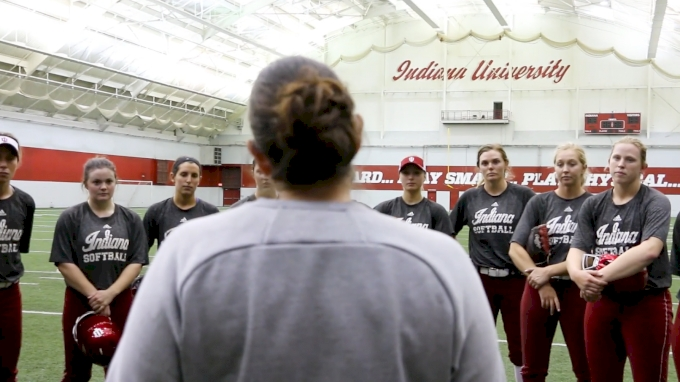 My head coach, Mike Candrea, ingrained the mindset that practice should be exhausting—that we should give so much of ourselves to the team that when we leave the field we are completely drained. 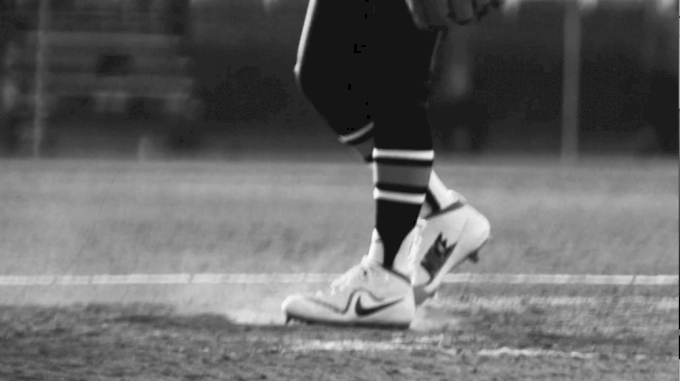 He made it impossible not to lay out for the ball in the gap, to sprint the 60 feet to first, and to take the extra bag when the defense is sleeping. Throughout college, I had the opportunity to play on some of the largest stages our sport has to offer against strong competition where hustle plays are the difference between a win and loss, and in hindsight, I wish I had implemented Coach Candrea's mindset sooner. College was the longest short four years of my life. I remember feeling like every summer and fall was dragging on and that the Tucson heat would never break. The early-morning workouts were gut-wrenching every day, making falling asleep the night before dreadful because the sun always rose way too fast. But when I look back, those mornings are some of my fondest memories of my time at the University of Arizona. In hindsight, if I knew then what I know now, I would have appreciated the camaraderie formed by conquering a tough workout at 6 AM with my best friends. I would recognize much sooner that no matter how fast or slow the time "feels" like it is going by it’s always ticking away. I would realize that there will never be another time in life when softball players have a group of people all dedicated to the same goal, with the full support of an entire town and university. When athletes who aren't in college talk about that level of the sport, we tend to talk only about the team, rankings, etc. But when you are a current college athlete, teammates talk a lot more about school work than people may assume. During my time at Arizona, it seemed that our team always had our computers out in the locker room and was helping each other succeed the best we could in the classroom. In hindsight, I wish I would have dedicated more time to understanding concepts rather than just doing the minimum to get by. I wish I would have been more present in each class and soaked in each bit of information rather than taking it for granted. As I move forward in life I try my best to adopt this mentality in whatever I do, including in the office, at the gym, and on the field. It is important to not only show up places, but it’s even more important to be present in your mind to be immersed in these experiences. Truly, I think I could ramble on forever with "If I knew then what I know now…" but the truth of the matter is that we only know what we know. If you're like me, you'll read this, move forward, and make similar mistakes and learn by doing. I'm sure I still have thousands of mistakes to make and hundreds of pieces of good advice to ignore ahead of me. But if I can leave a ballplayer with the advice that has stuck with me my entire career it is to say thank you. Thank your parents, coaches, trainers, managers, field crew, professors, advisors, and everyone else you run into on your softball journey. Don't wait until college to thank people. Start today. A gesture of thanks goes a long way. I am grateful for all of my experiences, for they have each shaped me into the person I am today. Growing up is full of "I wish I would have…" moments. It is easy to look back and say that I wish I knew then what I know now, but the truth is that I don't. I believe we need learning experiences and need to fail. We need to be out of our comfort zone and to go into some things blind. That is how we grow, how we get better, and most importantly how we mature.